Coinbase recently added an option for their customers in the U.S, EU, UK and Canada to withdraw the fiat pairs USD, EUR and GBP with no fees onto their Paypal accounts. With CAD and AUD possibly in the horizon since users from Canada and Australia are at this time unable to withdraw directly to Paypal but can instead directly sell their digital assets to CAD and AUD. This has been a quite addition to the exchange since they haven't announced anything yet except sent emails to eligible users. To be able to use this service customers are required to complete all of steps of verifying their identity on the website and will have had to receive the email that confirmed this is available to them. 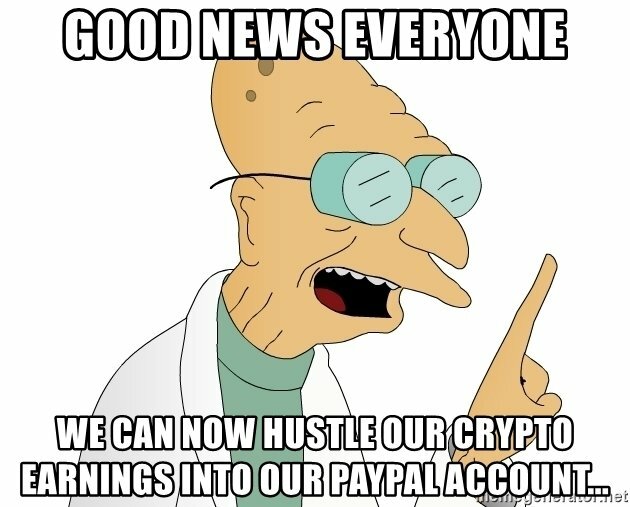 Although this is just a one way direction for now I don't doubt that it will soon enable deposits from Paypal as well, my guess is it will also consist of no fees since Paypal already takes a nice cut. Considering that many customers have complained about the big fees of Coinbase in the past it could be that they are striking them now for fiat users looking to get into cryptocurrency or vice versa, or it could just mean that they don't want to add another fee on top of the already existing Paypal fees. This additions comes shortly after the $300 million Series-E funding of coinbase that I've written about in the past and their goal for global expansion. Quite bullish news much like most of the news in 2018 - when the price will start to reflect on them is another question. At 10 am PT on Thursday November 29 Coinbase Pro started accepting deposits of Zcash (ZEC) in preparation for trading 12 hours later. Zcash is a privacy coin created in October 2016 to provide better privacy for its users compared to the public ledger cryptocurrencies such as Bitcoin and Litecoin and many others. It's hash function is zk-SNARKs and the team receives 20% of the coins that get mined for development and funding. There are currently 5.3 million coins in existence and the price is a bit over $80. Zcash is the next addition of a series of new ones to coinbase following Ethereum Classic and Basic Attention Token. Haha well we could do that at one point too with virwox.com but there were some hefty fees with it. Say what? Freaking finally! Been waiting for over a year for some way to withdrawal with Coinbase in Canada! I'm not 100% sure if users in Canada can withdraw yet according to the screenshot above but they can sell for CAD at least. It may just mean they can't sell for Paypal yet and that maybe there is a way to withdraw the conventional ways. Ahh well still good to know they are working on improving their product despite the market situation. Paypal is a good thing, because its fast. And now even for free? Awesome development. Thanks for sharing good news for us. This is great news indeed, it will help a lot. 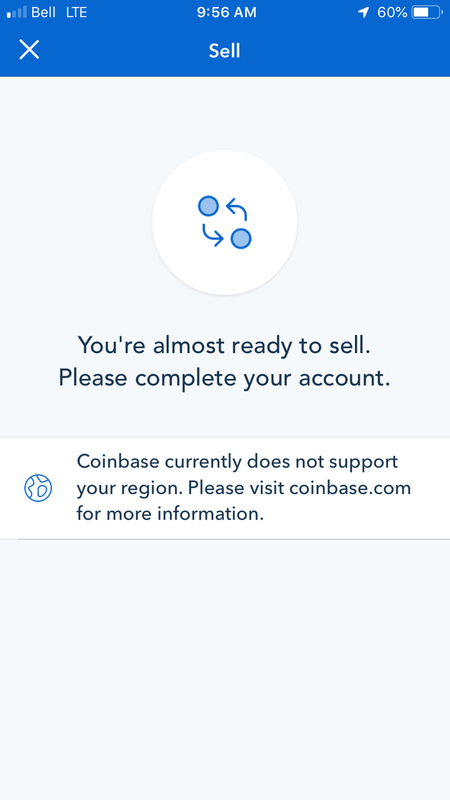 I always have problems with Coinbase. But I have American bank accounts and a German address so it always denies my purchases. Waiting for something like this in Binance. This is nice adding Paypal for those who don't have a bank account. Well I've been waiting for PayPal to be replaced with something better that doesn't have hidden fees that they constantly throw at you but I guess that's not going to happen. Your UA account score is currently 7.953 which ranks you at #32 across all Steem accounts. In our last Algorithmic Curation Round, consisting of 241 contributions, your post is ranked at #3. Congratulations!